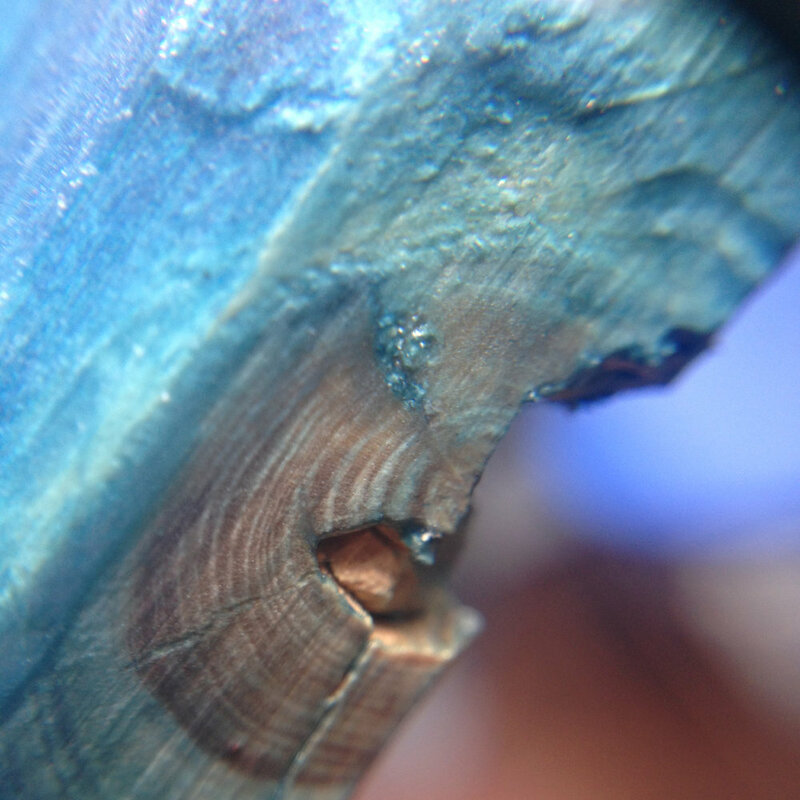 Atmospheric Wood is a research project based on a historic contact printing technique, commonly called blueprint. Invented by Sir John Herschel in 1842, first used as a mean of illustration and documentation by Anna Atkins, blueprint, or cyanotype, was re-purposed to reproduce technical drawings for architectural and engineering projects. Reviving and interpreting this traditional knowledge, Atmospheric Wood aims to bring back this process to contemporary architecture. 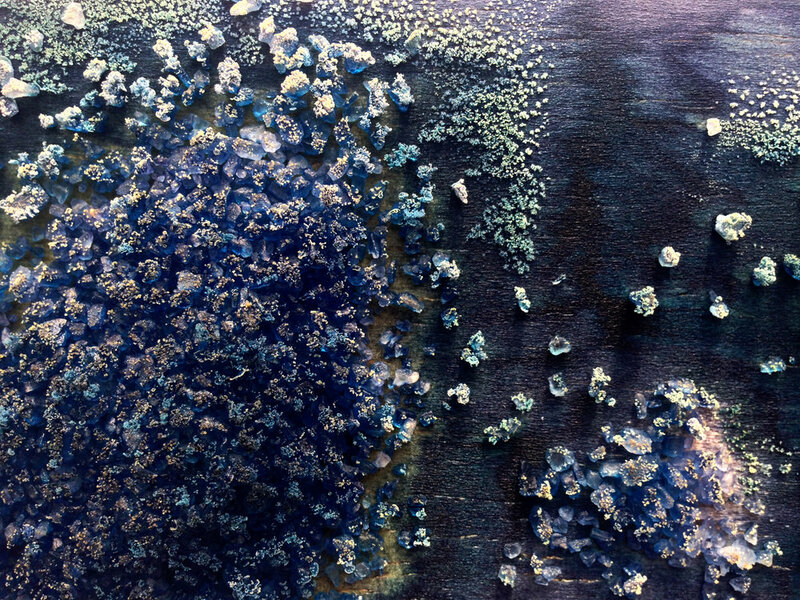 While exposed to light, the process transforms untreated wood into an elegant assortment of blue hues and a maze of pointillist patterns using natural minerals. The immersive patterns and tonalities draw visual associations to the night sky. Our goal is to create products for inhabitants of the modern metropolis yearning to stay close to nature in creative and unexpected ways. The key element in this process is sunlight and, more specifically, its interaction with an UV light sensitive solution. 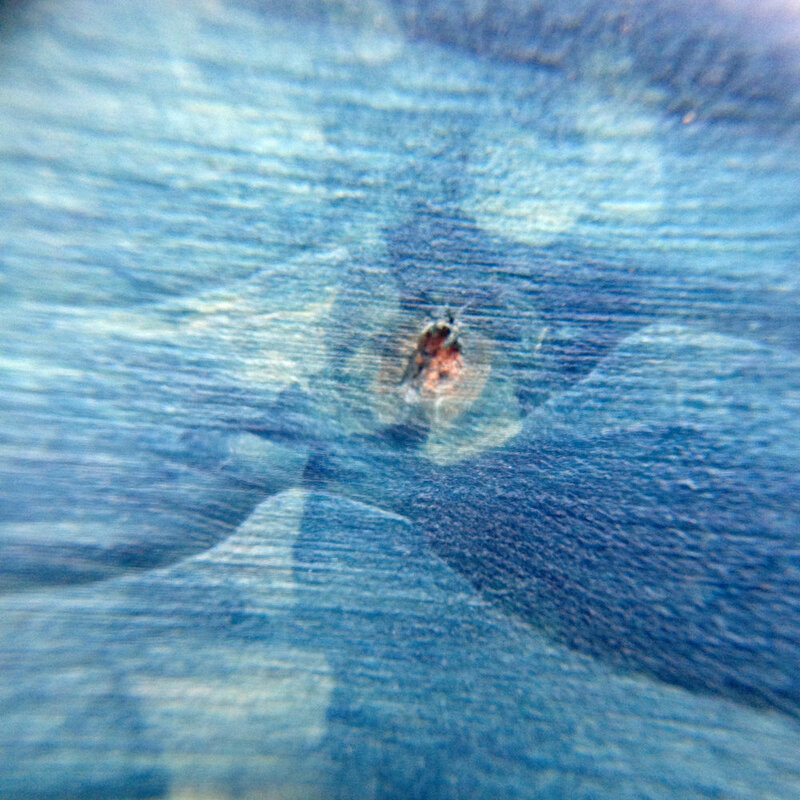 While exposed to light, the process transforms untreated wood into an elegant assortment of blue hues. 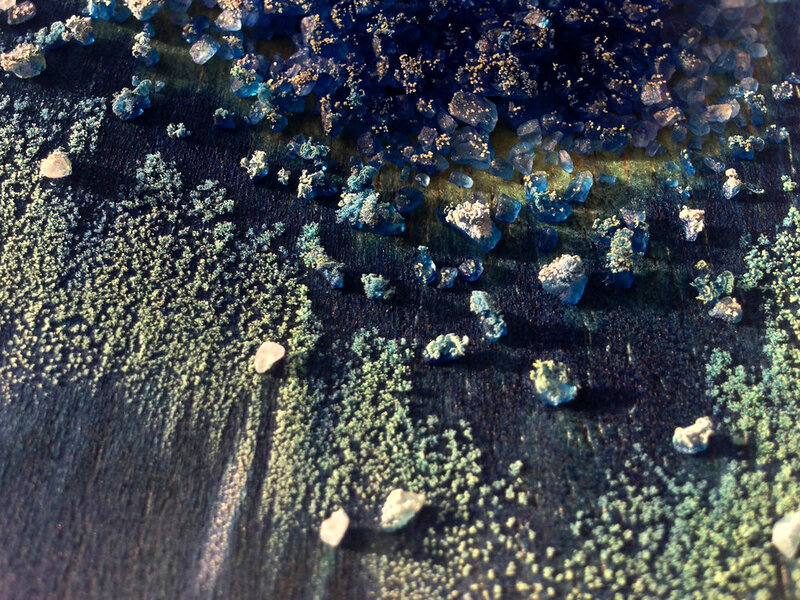 In addition, a maze of pointillist patterns is created using a scattered application of natural minerals. The results vary depending on the environmental conditions during production and types of wood used. Wood is treasured and a crucial natural resource that this project aims to enrich and celebrate. The project is aimed to find synergies between embracing the raw material and enriching it.Moreover, capturing and praising sunlight as a significant aspect of architecture, hence Atmospheric Wood is contextualized to be used within built environment aiming to help users to reconcile with their surroundings. The importance of location and time in the process and its clear traces in the final results allows the user to connect with the ritual of making, discovering the inclusive aspect in process based design. 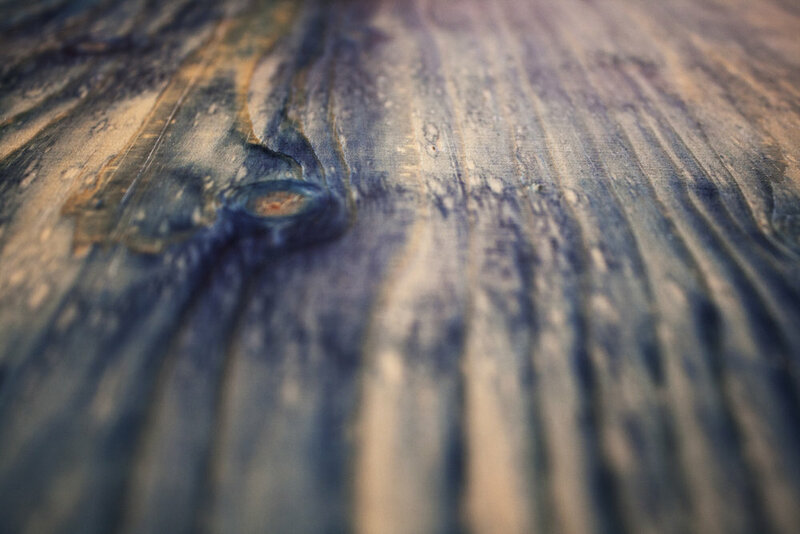 Atmospheric wood experiments with the process and, manipulating it, invites a wider public to consider re-imagining alternative techniques for contemporary applications. The implementation of digital production techniques, such as Computer numerical control (CNC) and laser cutting, allows the material to be used in efficient and relevant ways keeping the process applicable in today’s world.